Looking for family holidays in February half term? Here are some exciting ideas for you and your family both at home and abroad, whatever your budget. You’ll find recommendations for families with children of all ages through to teenagers. Note: all the travel companies featured are personally recommended by our editors. The Mediterranean is still a bit chilly in February. You may get some sunny days if you head south, but the sea will be cold and you could be unlucky and get some rain. The best strategy is to go to a hotel with plenty going on. Look for sports facilities, indoor pools and lots of organised activities. The weather is likely to be very good in the Canaries – arguably the best short haul destination at this time of year. I recommend the Abama Golf & Spa Resort in Tenerife and the Princesa Yaiza Suite Hotel Resort in Lanzarote which has kids clubs from babies up to 16 years of age. In the Algarve, you could rent a luxury villa with private pool. 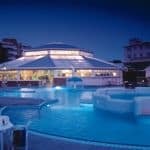 Examples include Quinta Nautica which has a children’s play area, pool table and heated pool. It’s also worth considering a villa in Mallorca or Corfu or Catalunya, or the beautiful Sani Resort in Halkidiki, Greece. If you’re travelling with a large family or group of friends, you could rent a chateau in France and take advantage of low-season prices. See the latest special offers. Cyprus has a great climate in winter and the Almyra is a great beachfront hotel for families. Its stylish contemporary design belies a very child-friendly attitude. February half term is peak period on the ski slopes of Europe. If you are happy to pay premium prices, I recommend Esprit Ski which offers superb childcare and family-friendly chalet hotels. See its latest special offers. Also take a look at Peak Retreats for good value skiing in France. Iceland is only a three-hour flight away. You have a good chance of seeing the Northern Lights while touring this dramatic country – try an off-road trip in a 4WD Superjeep to get up close to natural wonders such as waterfalls, bubbling mud pools and exploding geysers. If you’re on your own, check out these single parent holidays with Single with Kids. You don’t need to fly great distances to find decent weather. Fleewinter has some great family itineraries in Morocco – check out this combination of Marrakech, the Essaouira coast and the Atlas Mountains. 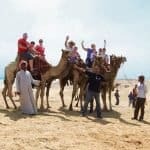 Or try the more adventurous Moroccan Circle, which includes a journey into the Sahara. It’s a five-hour flight to Egypt which will enthral kids of all ages. Over-5s can join this Classic Family Adventure while older kids will enjoy the Pharaohs Adventure for Teens. Six hours flying time gets you to Dubai where you can expect 27ºC and 9 hours of daily sun in late February. For younger kids, I recommend staying at the One and Only Royal Mirage The Palace which has fabulous programmes for ages 4-11 and is close to a lot of the attractions. For teenagers, try the Atlantis, The Palm, which has its own Aquaventure Waterpark, or the Jumeirah Zabeel Saray, which offers 50 activities and free entry to the Wild Wadi Water Park. 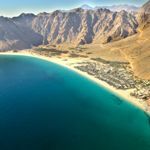 If you’d rather explore desert dunes than shopping malls, head to Oman which has the same climate as Dubai but more Arabian culture. The best hotels for families include the Al Waha and the Al Bandar. British Airways now has direct flights to Costa Rica which offers thrilling activities including zip lining, white-water rafting, canoeing, surfing and rainforest walks. I recommend this Costa Rica for Families tour. The Caribbean is perfect in February. Babies and tots are well catered for at the Round Hill in Jamaica while the all-inclusive Beaches Resorts have fantastic hotels in the Turks & Caicos and Negril, Boscobel and Sandy Bay in Jamaica. 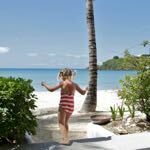 You’ll also find some great family hotels in Antigua including the all-inclusive Blue Waters and the five-star Carlisle Bay. If your family are keen on active holidays, you could set off together on an adventure in Vietnam with Selective Asia, or combine elephants, jungles and beaches in Sri Lanka. It’s summer time in Mauritius where this collection of family hotels has special offers and free kids clubs with lots of free sports, including water-skiing. February is a great time of year to visit South Africa. You can do it in a week with overnight flights, no jetlag and no anti-malarials required. This week-long Cape Town and Eastern Cape holiday has been designed for half-term week and includes off-road safaris in Kariega Game Reserve. 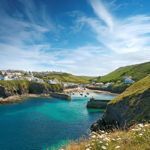 February is also a great time to rent a cottage in Cornwall – see this selection of 350 family-friendly properties. 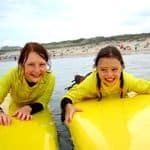 Other great British holiday options include adventure holidays and summer camps in England, Scotland and Wales with PGL, and the gorgeous Sands Resort Hotel in Cornwall. 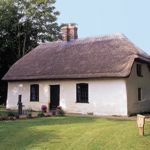 If you want an authentic farm experience, staying in a cosy cottage or converted barn on a working farm, try Holiday Cottages. If that sounds a bit chilly, take a look at where’s hot in February. and where is warm in February in Europe. << Visit our homepage for 101 family holiday ideas. Also see our picks for the best family holidays at Easter and during May half-term week and June.